Mozambique is a land of immense variety of landscape and biological diversity. However, its forests and woodlands are being cleared at an alarming rate. With few exceptions, the country has no inventory of its trees and shrubs, the component that forms the web or skeleton of Mozambique's vegetation. Trees and Shrubs of Mozambique provides the first accurate and comprehensive account of the woody plants of Mozambique and their distribution and how to identify them through the use of keys, descriptions and illustrations. 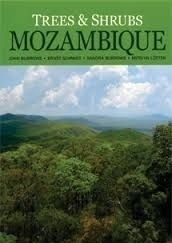 Aimed at botanists � both amateur and professional � conservationists, foresters, university and secondary school students, NGOs and eco-tourists, Trees and Shrubs of Mozambique covers some 1,800 species of trees and shrubs, illustrated with over 4,000 colour photographs, as well as leaf line drawings and distribution maps. Twelve years of travel and research have resulted in this, the definitive work on the woody plants of Mozambique and south-eastern tropical Africa. Comprehensive, authoritative and lavishly illustrated, this is the essential reference work for every tree-lover.